3 years & up. 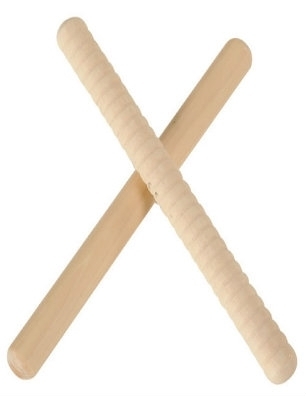 Sized right for children, these natural American hickory wooden feature one smooth and one ridged stick. 8" long.